Striving for “balance” is not about doing more of one thing and less of the other. Martin Underwood, Here to help professionals make their next career move when they don’t know what to do next. The ability to find balance is unhelpful when framed as diametrically opposed choices like “work to live” or “live to work”. Balance between work and non-work activities is not just about doing less of one and more of the other. That’s because what matters is your unique and ever-changing perception on the compromise that is taking place between work and non-work activities. Many times in my life, starting new jobs or businesses, I’ve worked 70 hour weeks and I wouldn’t want to change it . With the excitement of a new project, a sense of real achievement and learning, I was hugely energized and multi-tasked effectively. After a successful day at work, it was easy to get out of bed the next day and do the same. There was no compromise in work and life at all. Things then got worse and problems mounted I started to worry more, make bad decisions and lose confidence. The positive feedback loop of achievement giving more energy dried up. I remember taking 10 minutes out when I was overwhelmed, closing the bathroom door behind me and thinking I just can’t cope. I’m not the only one who has reached these lows. For the average Anglo-American desk worker the 40 hour work week is no more. The average non-hourly American worker spends 49 hours per week at the office with 1 in 4 spending more than 60 hours per week at work. Research at Bersin by Deloitte shows that stress, lack of sleep, and the constant need to maintain focus is making work harder than ever. It’s also toxic to your general healthand obesity. Yet all of the statistics out there and the growing awareness does not abate the epidemic of burnout and stress in the workplace. 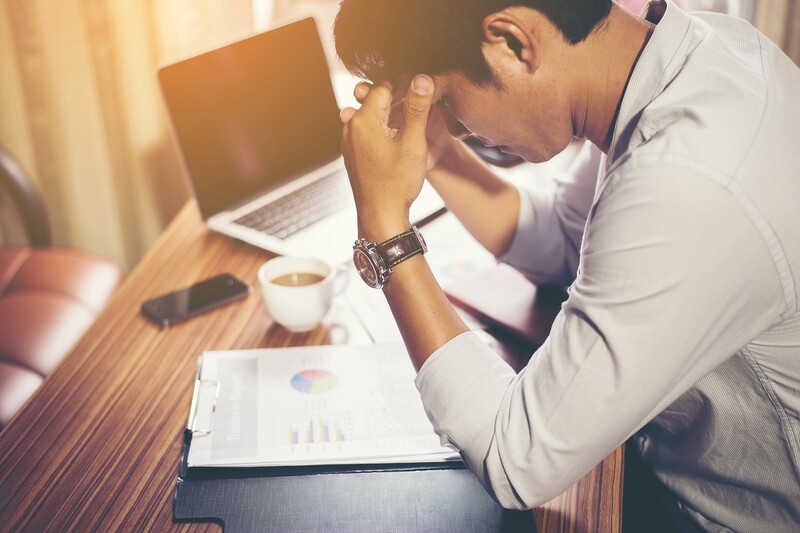 A Gallup poll of nearly 240,000 full-time workers found that 10.8% of U.S. full-time workers have received a depression diagnosis. That’s shocking. I’m determined never to put myself at risk of this again. Thinking back to when I was in the middle of this, all of the statistics about other people struggling would not have made much difference. I had the arrogance to think that I would be in the small percentage that can deal with a lack of sleep and excessive stress levels. I realize now that work-life balance is about my ability to take control and define what career and happiness means to me. I’ve now identified that when I’m energized I am able to work really hard. I have recognized the importance of recovery and respite when under stress. Fundamentally, my health and happiness is way more important than the work I do, I’ve made huge changes in my behavior. I no longer prioritize short term needs at the cost of my long-term health. I’m no longer on the clock 24/7. I’m learning to listen to my family and friends. This clarification of my values has made making healthy choices much easier and has enabled me to set the right goals to live well. Sometimes, I feel a happiness that is immediately pleasurable. Other times, I am doing something meaningful — something that helps other people, that gives me a sense of belonging or lets me express myself and get creative. At other times, I commit to gaining the experience, knowledge, skills and networks now in order to advance my career and have the future impact I desire. This ensures I’m satisfied with my career goals and the rate I’m progressing towards them. Balance is easy on the sweet spot in the middle of the diagram when all of these factors coincide. It requires much more attention, effort and discipline when they are not aligned. The important question to ask myself now is what is the right balance between happy, meaningful and career growth experiences at this part in my life? Sometimes you’ll have more happy experiences and other times you have more meaningful or growth focused experiences. The key is looking for some expression of balance without thinking there is some perfect balance between all these areas all the time. It’s not likely that these areas will be in balance too often. Just think how we tend to work hard from Monday to Friday and then take the weekends off. The important factor is that when life is really out of balance for too long, that’s when there can be a problem. The ability to hold up a mirror to yourself and have a conversation about your work-life is critical. It’s hard, and when we’re in the midst of problems, then it’s unlikely we have the time or perspective to do this. That’s why establishing a regular practice before trouble hits is the only effective solution. This reinforces the reason why I have many habits of exercise and mindfulness. What has been crucial is the subtle but powerful mindset shift from doing something because I should, to doing something because I choose, moving towards the values I care about most. Just like going to a group exercise class is easier than pushing yourself, the same applies to goals outside of fitness. That’s why many people get great results through accountability groups. This is where a group of people, who want to make progress towards a goal, come together and hold each other accountable to do this. The highest levels of performance in the workplace, sports or any other arena don’t happen without trade offs. Working until 10 p.m. on a Friday night can make the difference between succeeding and failing,but is one less evening spent on what else is important in your life. For most people, the idea of work/life balance is an elusive ideal, because it’s one of the most difficult goals to achieve. Balance requires tough decision making combined with care about who you are and what you should be doing with your life. Your life matters. Your career decisions matter. The difficulty is no one else can tell you how to live your life or navigate the choices. Only when you have made decisions on what’s important, can you build practices strategies and tactics to make it work for you.